Freemarker, the Hippo CMS template language, includes special directives for working with sequences. Additional built-ins can be used to get more information about the loop variable. However, I've noticed that they don't always work. It's a simple loop over a sequence of months without any built-ins. This will work as expected. 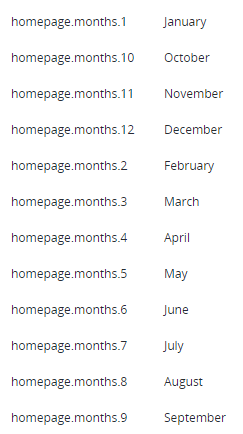 It will return a select element with a list of months. No problems so far. Of course, displaying month indexes instead of their names usually doesn't make sense. We'll use the index to localize the month names. There's no need to use interpolation for composing the resource key since expressions can be assigned to the key attribute of the fmt.message tag. What is a Valid Hippo Head Contribution?